Winner of the first prize in the 2013 Nei Stëmmen International Singing Competition in Luxembourg, Benjamin was a Choral Scholar at King’s College Cambridge where he read Philosophy before studying at the Royal College of Music in London (Vocal Faculty and Opera School), where he won First Prize in the English Song Competition. Benjamin won third prize and the Audience Prize in the 2015 CantateBach Competition in Greifswald, Germany, was a Semi-Finalist in the 2014 Kathleen Ferrier Awards, and won the 2011 Royal Overseas League Competition with the ensemble Cries of London. Benjamin has sung Bertarido in Handel’s Rodelinda, Tassile in Handel’s Alessandro, and Mirtillo in Handel’s Il Pastor Fido in the London Handel Festival with Laurence Cummings. He has understudied roles with English National Opera (Ixbalanqué in Purcell’s The Indian Queen, Bertarido in Handel’s Rodelinda and Seraphim 3 in John Adams’ The Gospel according to the other Mary), Glyndebourne, Scottish Opera, Opera North, and English Touring Opera. 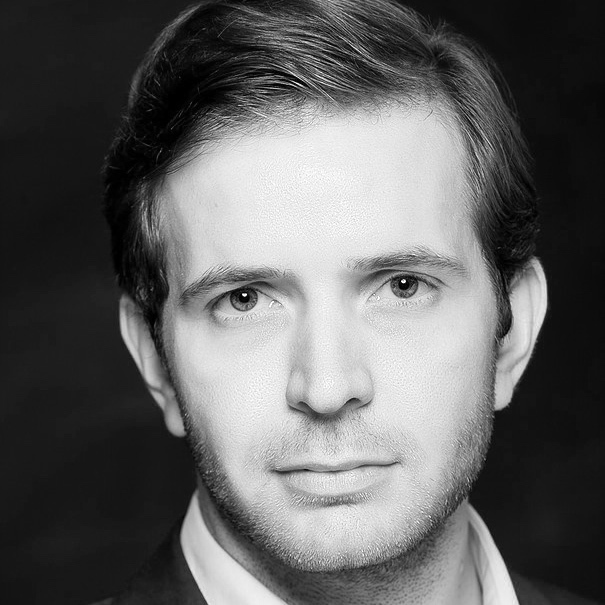 Benjamin’s other roles include Ottone in Monteverdi’s The Coronation of Poppea with Ryedale Festival Opera, Tragedy in Jacopo Peri’s Euridice with British Youth Opera, Arsamenes in Handel’s Xerxes with Fitzwilliam Chamber Opera, Hamor in Handel’s Jephtha (Grimeborn), Kaspar in Kaspar Hauser by Alexis Pope (Grimeborn & Tête à Tête), George Saintsbury in The Lovely Ladies by Peter Cowdrey with Opera Unlimited (Buxton Festival), Spirit in Kettlehead by Darren Bloom with Size Zero Opera (Grimeborn & Tête à Tête), and Q in A Sign in Space by Nick Morrish with Gestalt Arts. Concert highlights include Handel’s Brockes Passion with Stephen Cleobury and King’s College Choir on BBC Radio 3, Purcell’s The Fairy Queen with Matthew Halls (Wigmore Hall, London), Purcell’s Hail, Bright Cecilia with Josef Wallnig (St. Petersburg, Russia), Bernstein Chichester Psalms with Edward Higginbottom, Oxford (Perugia, Italy), Messiah with Jan Łukaszewski (Gdansk, Poland), Bach’s Mass in B minor (Logrono, Spain), Handel’s Messiah (Riberac, France), and the World Premiere of Jonathan Dove’s Arion and the Dolphin. Benjamin is also committed to art song and gives regular recitals, most recently, ‘The Art of the Countertenor’ in Corfu for the Corfu Arts Foundation. As well as Early Music, Benjamin’s repertoire includes Lieder, Mélodie, and 20th Century English Song, as well as contemporary music: the composer Peter Foggitt has set for him two song cycles of Edmund Spenser’s Amoretti. Benjamin is the Co-Founder and Vocal Consultant of Sloane Square Choral Society, a lecturer with Opera Prelude, a jazz pianist and a singing teacher. He is also partial to port and decadent condiments.